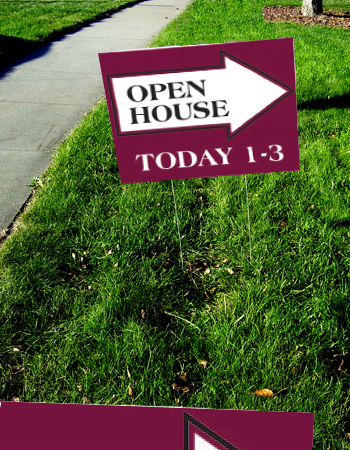 Yard signs are a great way to announce an event, a sale (garage, real estate, etc.) or to promote yourself or your business to others. We pride ourselves in quickly creating custom yard signs at an affordable price with our direct to surface printer. A high-quality lawn sign creates awareness throughout your community and neighborhood. From a simple coroplast sign with a step stake to a more durable H frame design with a variety of possible sizes, we can create the lawn sign you need.